Even though I’m feeling like everyday new makeup is being tossed at me, the makeup lover inside me still squeals a bit and says ‘gimme gimme’. Since I can’t buy everything I’ve decided to just make a list, you never know I might end up buying one or two of these at some point. I almost feel like this is a little redundant since I have the Clay Play Face palette, but I still have grabby hands. Two things, first there are more shades that I could bronze or contour with, though lets be honest with my skin tone I’ll be using the deepest shade in the palette for that. Second the pan sizes are pretty big, they are apparently 4.5 grams a piece,making the total weight of the palette 27 grams, which is quite a lot of product. This is my third point, I love the formulation of Tarte’s face powders, them apply creamy and blend out smoothly, surprisingly I’m not worried about the lighter shades looking ashy on my skin because I know that I can even it out with the brown shades in the palette. 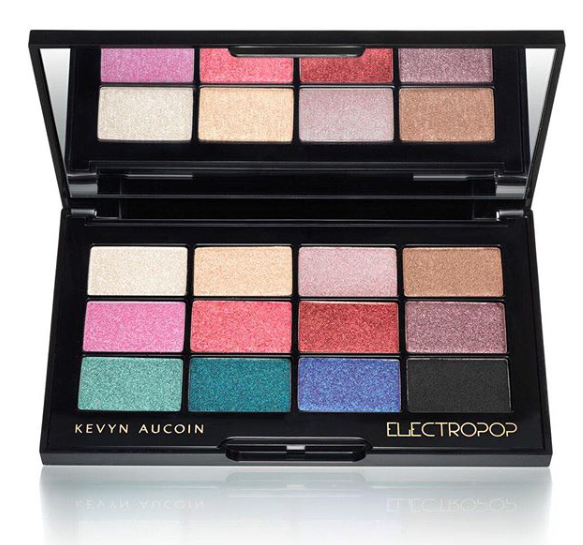 Ya’ll know that I love my colourful eyeshadow palettes, so that is what really draws me to this palette. I was not a My Little Pony fan growing up so it doesn’t bring back any nostalgic memories. For 12 shades I think that the price and colour selection is great. I have a few of the Colour Pop single shadows and I find that the quality is pretty good on them, they’re a little dusty but it’s honestly not a problem for me. I never thought I would be interested in any palette from the Morphe brand, but one of their new holiday palettes, the 15D Day Slayer caught my eye. It’s not anything revolutionary, I mean it’s your typical warm orange toned eyeshadow palette and yet I find myself interested. The palette is smaller with only 15 shades, so I don’t have the worry about where and how I would store it. Also I feel that with a smaller curated colour selection the chances of repeat shades is much smaller and bonus it comes with a mirror. 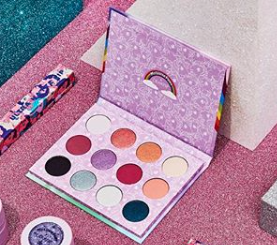 I did a double take when I first saw this palette and immediately thought, I want it. The palette seems based on a warm raspberry palette with a few brown shades. It’s comprised of mattes and shimmers. I will say that some of the swatches have left me feeling a little underwhelmed. 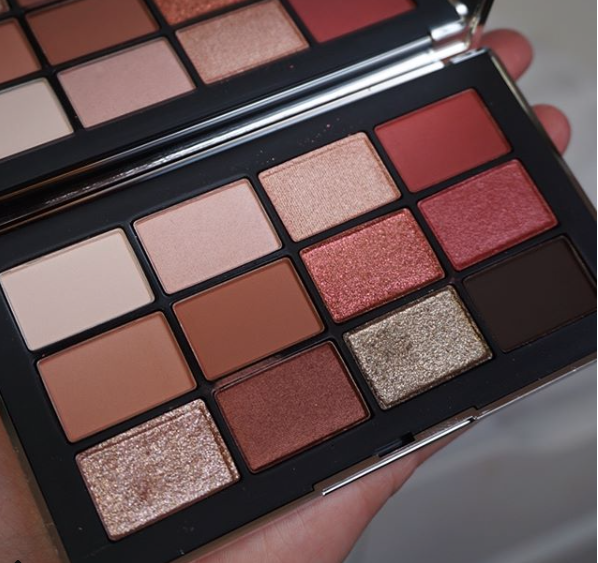 I’m often drawn to red toned eyeshadow palettes, so I’m going to keep my eyes on this guy. It’s a holiday palette that is to be released on Cyber Monday. Even though this is meant to be a highlight palette, due to the colour selection I feel like they would apply great on my skin tone as shimmery blushes. The shades in the palette are a bit deeper than the standard colours that are most often found in highlight palettes. There hasn’t been much said about this guy, but I like the looks of it. I will say that the packaging of this product is a turn off to me, I don’t like it at all. When I first saw this palette, I wasn’t that impressed. it didn’t look all that great in the pan, it was just a bunch of bright colours. However after seeing swatches, I’m interested. From the description of the palette it appears that you can vary the intensity of the shadows going from sheer shimmer to opaque metallic. I haven’t ever tried eyeshadows from the Kevyn Aucoin brand so I have to basis of comparison. I know that I enjoy the Neo-Highlighter that I have, so I’m hoping that the formula on these shadows is just as good. This is going to launch on Cyber Monday but will be available in December after the sale rush. Coloured Raine Cheers to the Beauty Eyeshadow Palette $50 USD? This bad boy hasn’t even been revealed yet but I’m putting it on my wish list. I thoroughly enjoy my Queen of Hearts palette from the brand, and this new palette is being pitched as the wicked sister. So I’m envisioning rich, vibrant and deep colours that are aimed at creating dramatic over the top looks. I’m so here for it. I’m a bit sick of neutral palettes and am ready for something a bit different. I have no concerns about the quality of the shadows, I’m not seeing an ABH type formula change happening, so I think it will be a great addition to my collection. Hopefully it doesn’t sell out super quick and I’m able to get my hands on it. So there you have it, another wish list down, many more to come.